Space Day (week) Maine is underway! 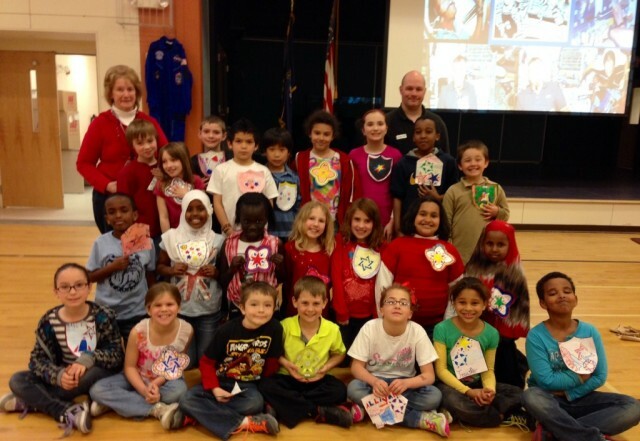 Space Day (and week) Maine 2014 got off to a great start and is now well underway! Many thanks to Space Educator Brian Ewenson for kicking Maine’s space day off since his arrival on Monday April 28! Friday, May 2nd is the capstone event with Maine’s own A stronaut, Chris Cassidy as the keynote speaker at the Auburn Middle and High School. NASA will be streaming Chris’ presentation live from 10:00-11:00 AM at http://www.ustream.tv/channel/nasa-dlinfo2. NASA will also stream a 12:00-1:00 PM MARS Rover Distance Learning Event at the Auburn Middle School using the same URL above. We would like to extend our many, many thanks to Sharon Eggleston, Northeast Region Coordinator for Space Day (and MSGC’s friend and partner) and to all of the wonderful volunteers and presenters who help make Space Day Maine such a special educational event! We look forward to many more successful and fun Space Day Maine events in the future!